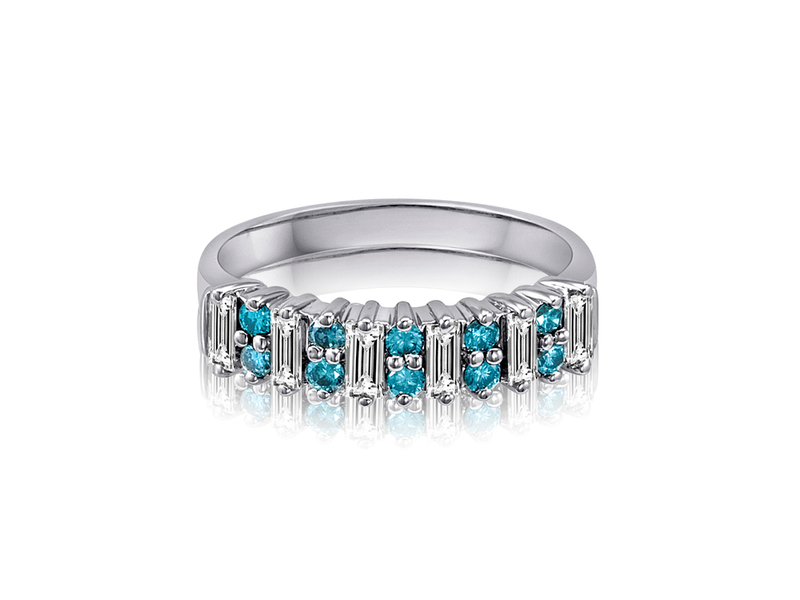 Kaspar & Esh have been leaders in the design and manufacture of fine jewelry featuring high quality blue color treated diamonds for years. Our treatment process is irreversible, virtually unchangeable and yields a range of color from fine teal to rich true blue. 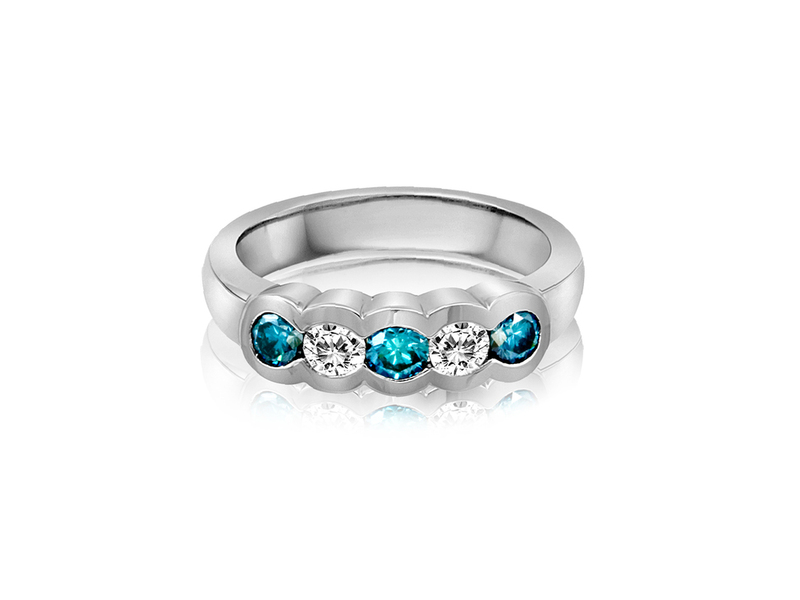 We select the finest colors and highest quality diamonds for our designs and manufacture to order here in the US. 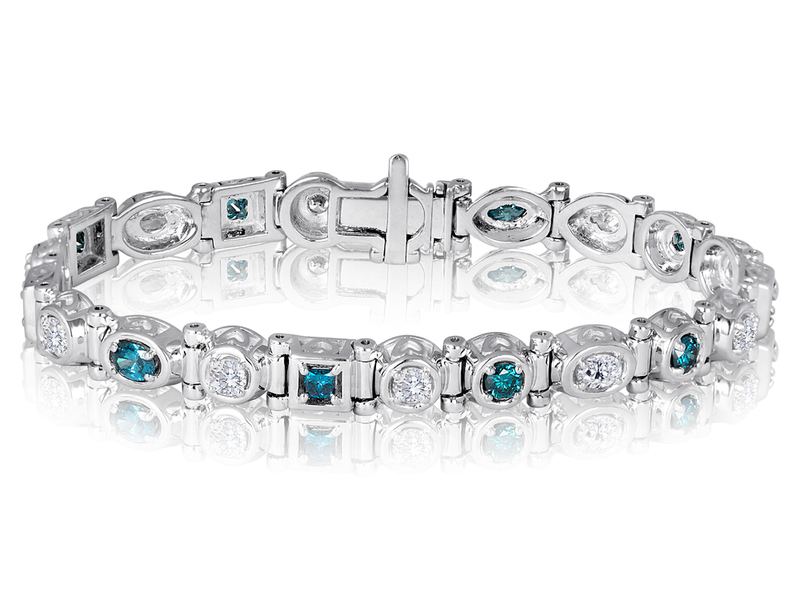 We make a number of bracelet styles with blue treated diamonds and a line of jewelry to complement them. Please find selections from our extensive offerings below.